Theres a new restaurant in the neighbourhood! I mean, technically this isn’t a ‘new’ restaurant because Polpo has been around in different locations for a while, but it’s come to Notting Hill! It’s a great little Italian bàcaro, or little humble restaurant to you and I, that serve small dishes (more to order, more to try!) along with drinks. I think it’s a really great concept and the food was delicious. 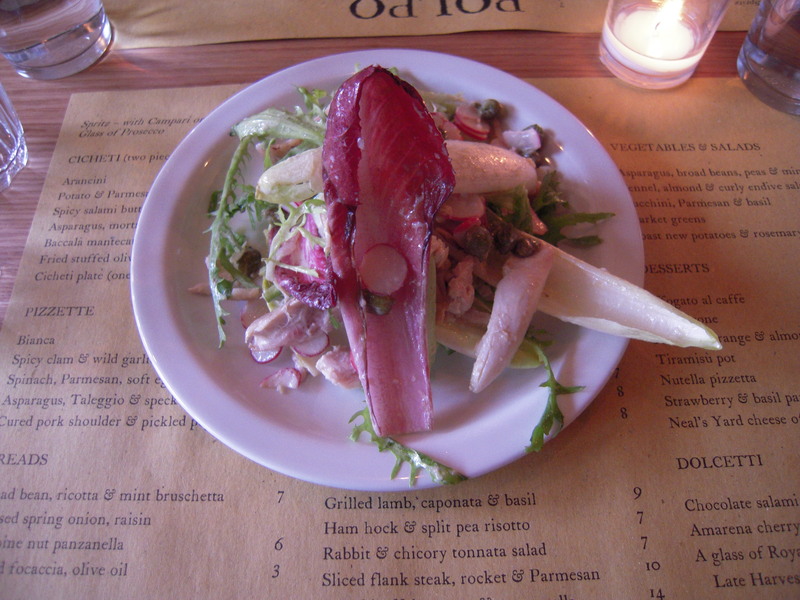 We started off with the rabbit, chicory and tonnata salad (£7), which was one of my personal favourites. The rabbit was extremely tender and went really well with the chicory and tonnata dressing (made from tuna, capers and mayonnaise). I didn’t have any of the braised scallops, pancetta and peas (£8) but apparently the scallops were cooked to perfection and went well with the green vegetables. 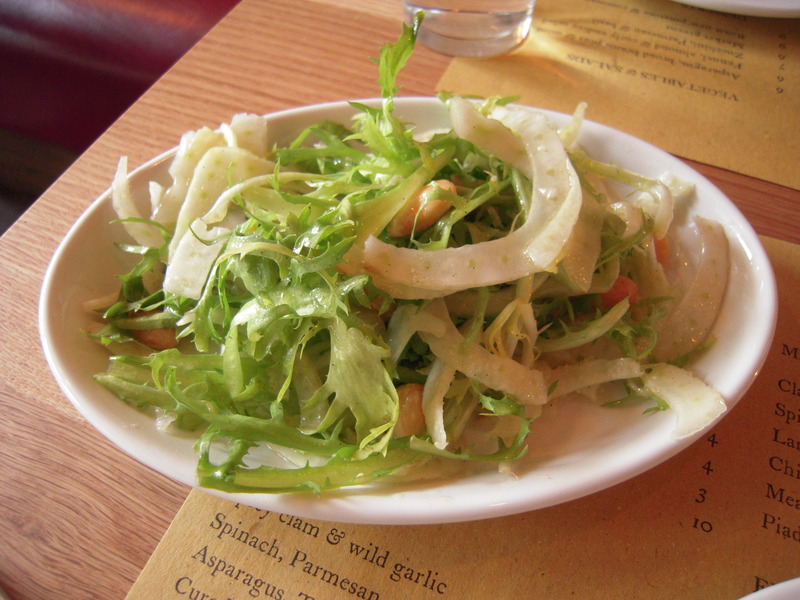 This fennel, almond & curly endive (£6) was also another amazing salad which I will definitely recreate at home. The dressing was super zingy and lemony and went well with the fennel flavour and the salty, crunchy almonds. Delicious! 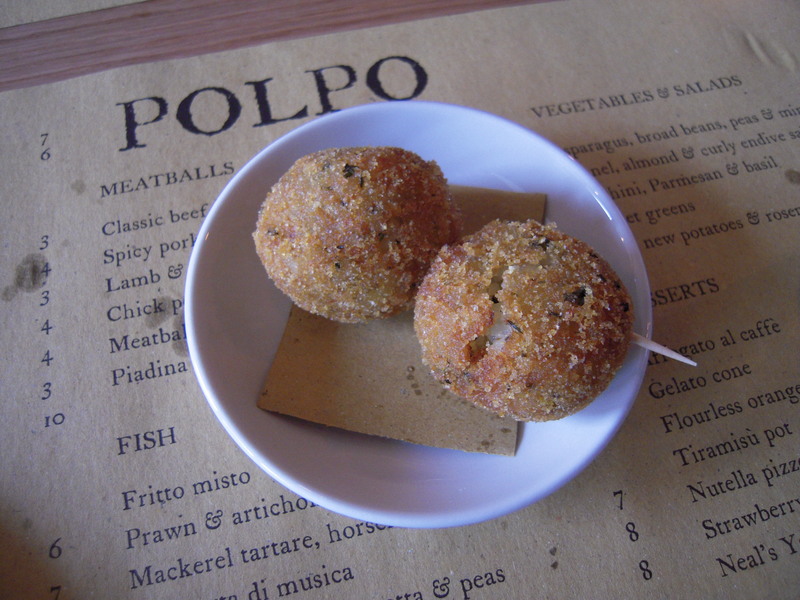 Polpo are mostly famous for their meatballs and pizettes, and unfortunately we didn’t try the pizzette this time, but the meatballs did not disappoint! 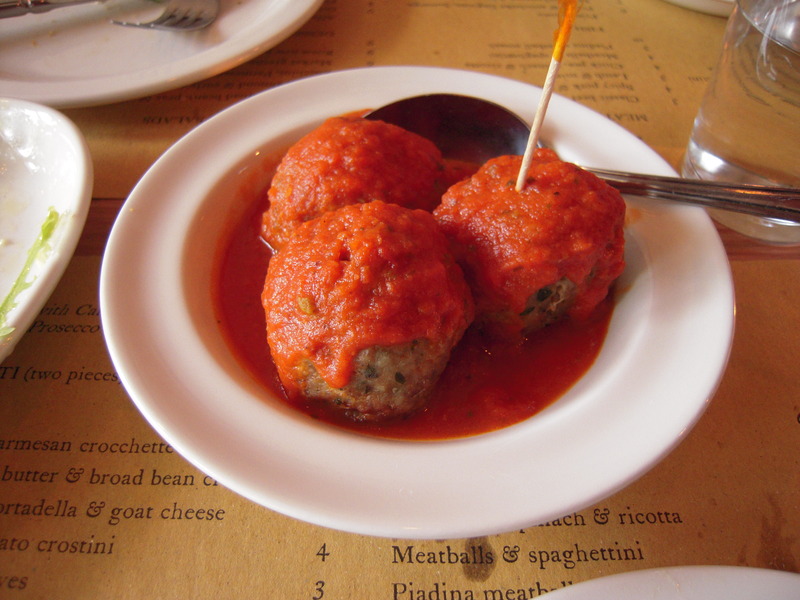 We went for the classic beef and pork meatballs (£6) and they were super moist and the sauce tasted fresh and lovely! Now heres a photo that will make your mouth water! 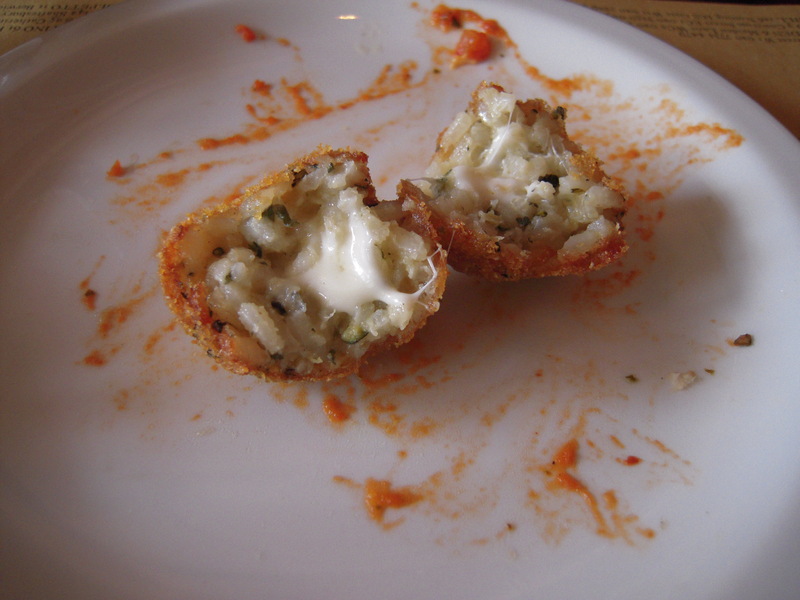 2 mouthfuls of joy, also known as arancini (£3)! 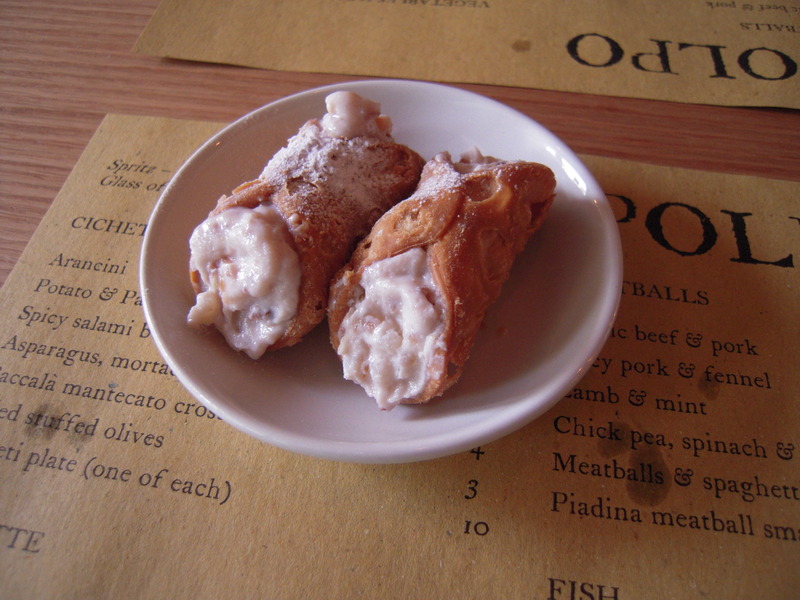 Finally, for dessert, we went for the amarena cherry & ricotta cannoli (£4), which was the perfect balance of fruitiness (it also contained orange peel) and sweetness, without being cloying! 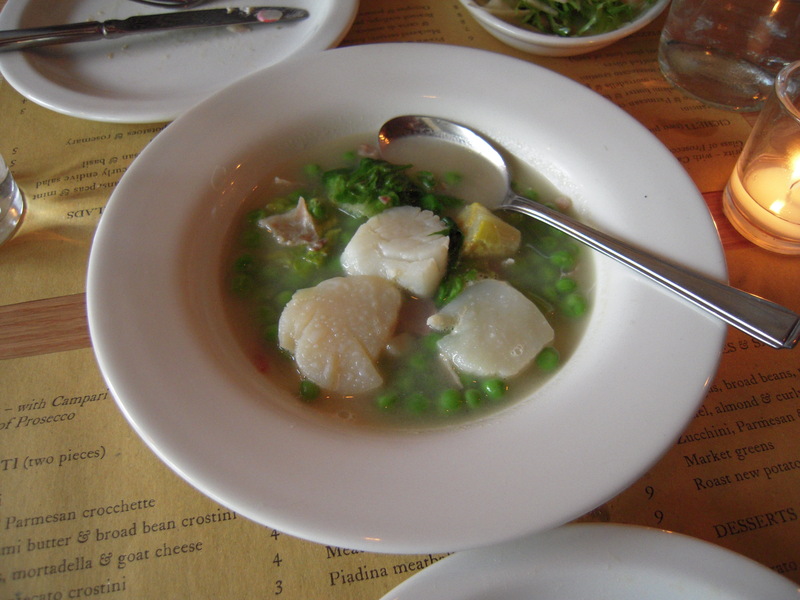 Polpo is a great little Italian restaurant. Luckily, we only ended up paying £19 for this (bargain or what?!) because it was half price for the first 2 days of opening. It’s not the cheapest place usually, but I think for a date it would be a great place. The atmosphere is casual, but also quite romantic due to the candles on each table! It’s delicious and you can tell they use great quality ingredients. < Lemon Drizzle Cake and Exciting News! Thanks for stopping by Lorraine 🙂 They were super delicious! Definitely going to try recreate with their cookbook!